For your Contour TV plan, each TV in your home will need a TV receiver to access your channels. Find the best DVRs and receivers to satisfy all your TV needs. Match your personalized TV plan with the entire range of Cox TV technology. Learn about each option, compare the benefits and choose the best fit for your home entertainment experience. Cox is the trusted TV provider to help you get everything you need and nothing you don’t. Monthly Price $28.49/mo. $21.49/mo. $8.50/mo. $2.99/mo. 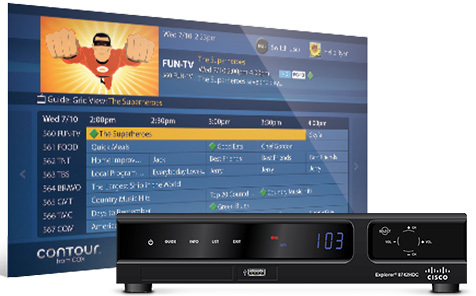 HD-DVR Receivers from Cox allow you to pause, rewind and record live TV! Never miss an important family event or stress out in traffic again with the ability to record a game, event, show or an entire season of your favorite series, right from your mobile device. It’s TV on your schedule. Cox offers two different DVR experiences that allow you to record, pause and rewind live High-Definition TV on your Contour TV plan. Plus, enjoy personalized show recommendations and watch recordings anywhere in your home with the Contour App. Equipment charge $8.50/mo. + DVR service $19.99/mo. Now everyone in the family can watch or record what they want, any time. Smart Search quickly gives you access to your favorite shows and personalized recommendations based on what you already watch. Think you've seen it all? You’ll never come closer than with 6 HD-DVR with Contour. Equipment charge $8.50/mo. + DVR service $12.99/mo. Still enjoy the best of the Contour features like personalized recommendations, multi-channel DVR, and any-room DVR perfect for smaller households without missing out on the best Cox Contour features. Plus, get features like a voice-operated remote control when you bundle. HD Receivers allow you to receive all your channels plus the HD versions of the channels with all our TV packages, including your local programming. Watch your favorite channel line-up in High-Definition TV and enjoy stunning picture quality for sports, nature programs and more! Compatible with most Cox TV Plans, HD receivers allow you to view your channels in High Definition. Does not include the New Contour Experience with Voice Remote. Go all digital with the Cox streaming TV box. It’s a mini change with massive benefits. †A good option for additional rooms, this smaller receiver provides HD and an on-screen program guide but does not provide access to all channels or On Demand. Contact us for details. ‡HD Channel availability may vary between mini boxes and Contour TV receiver. At Cox, we provide our customers with the ability to customize their cable TV plans down to every last detail, including the equipment that works best for their needs. If you already own a set-top box, DVR or TV receiver, simply pair it with our CableCard. It's the perfect solution to provide you with the cable experience you are looking for without the added charges of renting equipment you've already invested in. Get the power of digital entertainment with this box-free cable decoder that’s about the size of a credit card. It has limited functionality for receiving channels and only works with a certified compatible CableCard retail device (e.g., TiVo). Enjoy personalized TV recommendations with Contour from Cox. Get peace of mind with reliable protection for your home’s wiring connections. See your area’s channels, premiums and packages with our TV channel lineup. 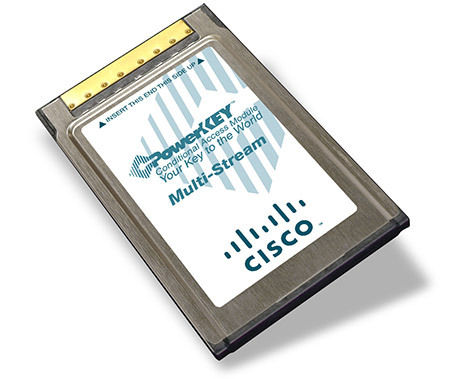 *Storage claim based on 1,000 hours of SD programming; capacity varies with mix of HD and SD recordings. DVR service is available to residential Cox Contour TV customers. Cox DVR receiver and remote rental required. Monthly DVR service fee applies for each DVR receiver. Prices exclude installation/activation fees, equipment charges, inside wiring fees, additional outlets, taxes, surcharges (including $7.50 video Broadcast Surcharge and Regional Sports Surcharge $2.60-$8.00/mo. depending on Cox market) and other fees. See additional service details. Contour is available to residential customers with Cox Contour TV Preferred and Internet Preferred or higher TV/Internet service. Digital receiver/remote and Cox approved modem required. 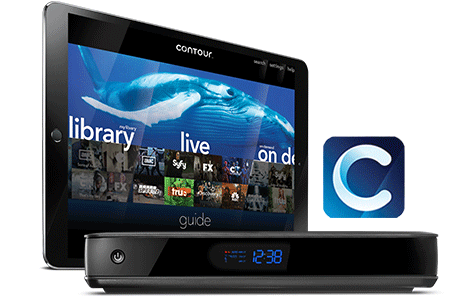 The Contour TV Package includes the Contour guide with personal show recommendations, access to over a dozen additional HD channels, and optional Record 6 DVR service, which allows you to record 6 shows at once and watch all your recorded shows on any TV in the house. Record 6 DVR service fees are in addition to Contour service and Record 6 DVR receiver charges. Receivers to view programming in additional rooms are extra. Storage claim based on 1,000 hours of SD programming; capacity varies with mix of HD and SD recordings.